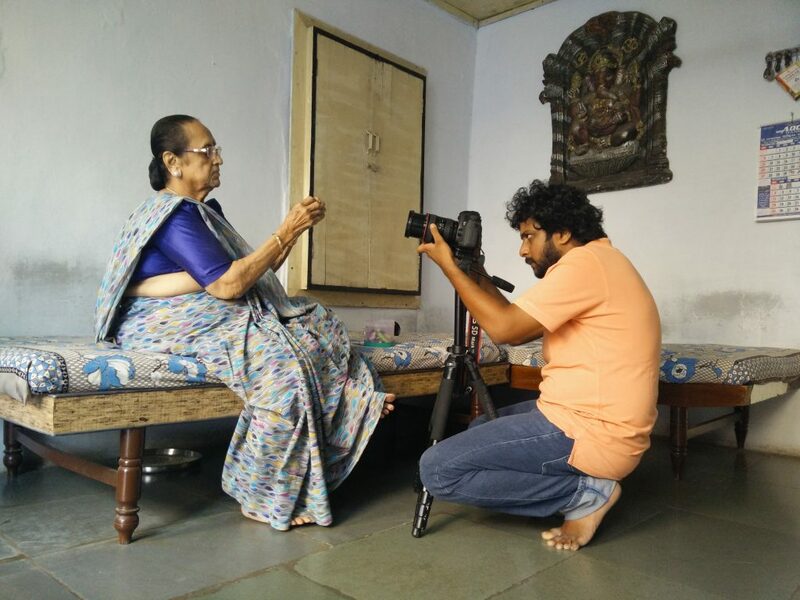 52 films in a year with zero budget by Short Filmmaker Tanmay Shah. With a morning menu of Muffins and Hot Tea and a lack of the usual chitter-chatter, the empty tables of McDonalds offered an uncharacteristic quietude. The presence of the person who sat opposite me seemed to radiate a charming indifference as if dismissing the idea of giving context to surroundings. With wild, unkempt and curly hair forming a halo around his face and piercing black eyes, Tanmay Shah- founder of Friday Fiction Films began his story. By the time Tanmay passed his 12th standard, this logically derived fancy of his had developed into an ostentatious romance with the world of programming and coding, softwares and applications. But it is significant to mention here that as he delved deeper and deeper into the world of compilers and debuggers, it was impossible to miss the constant under-current of the fact that he still perceived the act of writing code as a means to an end and not an end in itself. Characterizing himself as a person who finds it an abomination not to pursue every living moment in the pursuit of a passion, Tanmay explains to me how he managed to survive and thrive in the world of engineering which has been marred with stereotype and prejudice. Owing to an eidetic memory and an uncorrupted logical processor as a brain, Tanmay went on to design and write drivers for InfraRed Lunar Observatory at Mount Abu where he worked on the automation of the telescope and cloud-based sensors for small observatory operations. Armed with a comprehensive practical as well as theoretical knowledge of the subject and a strong reference from PRL, he then made it to IIT Bombay where he worked on the optimization of traffic management system that was later implemented in Trivandrum and also the subject of his published research paper. It was obvious to me that there was a gifted and a passionate individual sitting in front of me but there was a rhythmic cadence in his articulation that made him neither arrogant nor conceited. And just when I had formed a conventional opinion of this unconventional IT Engineer, his story made a 180 degree twist. Those piercing black eyes still had the same intensity and his countenance still had the same earnest gaze and it was fascinating to see that this tectonic shift in his career brought forth no unwarranted rhetoric in his manner of expression. The domain sure had changed but his passion had the same serene equilibrium that was so evident in his love for coding. Throughout my conversation, I came across many moments in which Tanmay criticized the curse of inaction. He couldn’t stand not doing things and it was this inherent irritation in his personality that gave rise to the idea of 52 Friday Project. It was 2015 and seeing that he was not really living up to the name of the Friday Fiction Films, he decided to embark on an ambitious journey of discovery and purpose where he planned on making a short film for each week and have 52 of them ready at the end of the year. With duration ranging between 2 to 5 minutes and diverse social issues such as intolerance and anti-ragging to transgender wedding and social media attraction, Tanmay Shah clearly made a loud statement that it doesn’t take excessive resources and truckloads of cash to make films. Using Youtube as his main stream celluloid and 170 different characters for his short films, he managed to keep each film independent and portray it as a separate entity. As someone who has never had any formal training in photography or film-making, it was incredulous to see him talk about lenses and lights with the same intensity as a professional photographer who has been in that business extensively. As I began to enquire him on the thought process that he employed while making his films, Tanmay talked with an assuring solemnness that promised an enchanting insight of an exquisite mind. As of now, Tanmay has transformed this entrepreneurial idea of Friday Fiction Films into a full-fledged private limited company, which focuses on providing branding and video solutions to the corporates. Talking about the kind of the projects that he now takes up, he vividly explains how he is brutally honest with his clients about what kind of video or design will be suitable for his brand and sometimes also about why he cannot provide what the client is looking for. With a goofy smile, he divulges in his secret and describes how these client meetings open up a repository of visual information for him. Sipping the last of his Coke Mcfloat, he pauses a little when I ask him to describe his journey so far and with a kind of retrospective glance begins to answer my question. And with enough food for thought, we climbed down the chalk-scribbled stairway of McDonalds. The menu had changed and the tables were filling up. READ These professors chose practical learning over textbooks and their students are loving it! Nirmit is a contributer to Chaaipani. If you have a passion for telling stories, you can also get published. To start writing, log in to your account, and we'll pay you to write happy, inspiring stories.